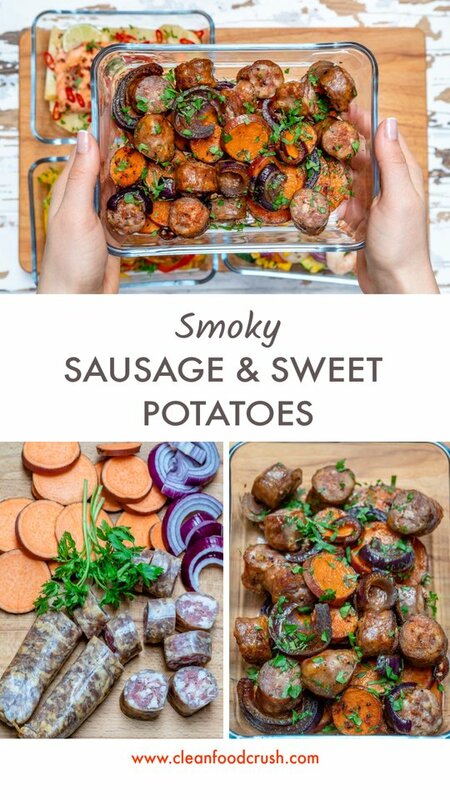 Try this Clean Eating Smoky Sausage + Roasted Sweet Potatoes! 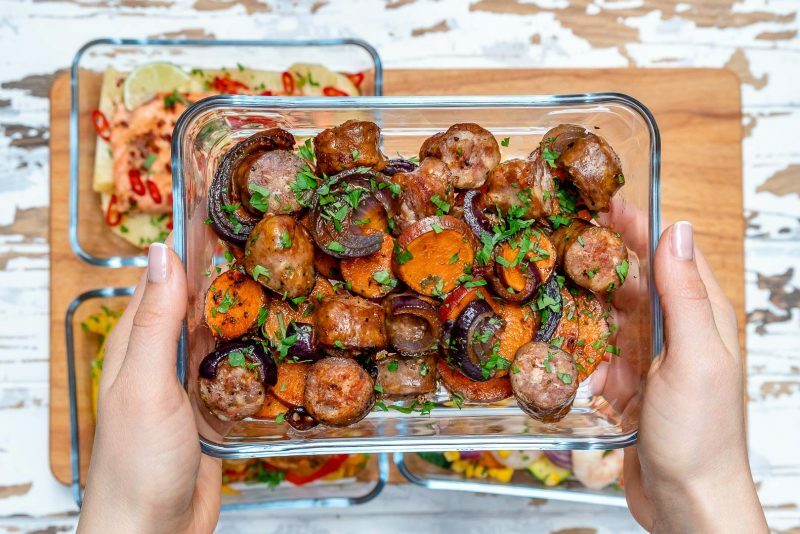 This SUPER simple recipe is crazy-delicious for a quick dinner OR meal prep! Thanks to our buddy: parchment paper, it’s easy on the clean-up person too! There are SO many AWESOME options for sausage available these days! Look for: Nitrate free, No additives, No hormones, humanely raised. 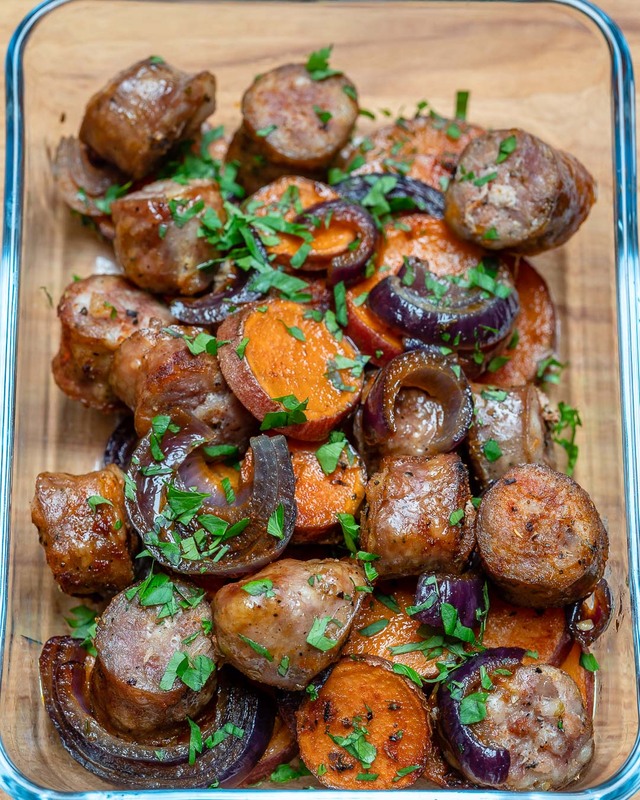 I really LOVE Chicken or Turkey sausage, and usually, purchase fully-cooked varieties. Fold the parchment paper in half, then open it up. Lay the sliced sweet potatoes and red onion slices in the center of one half of your parchment paper. Place the sausage slices on top. Sprinkle with seasonings, sea salt and pepper and drizzle with oil. Fold over the other half of the parchment paper over all of your ingredients. Starting at one corner of the sheet, make small overlapping folds, then crease each fold to seal edges together. Twist the last fold at the bottom to make a tight seal; place parchment packets on a baking sheet. 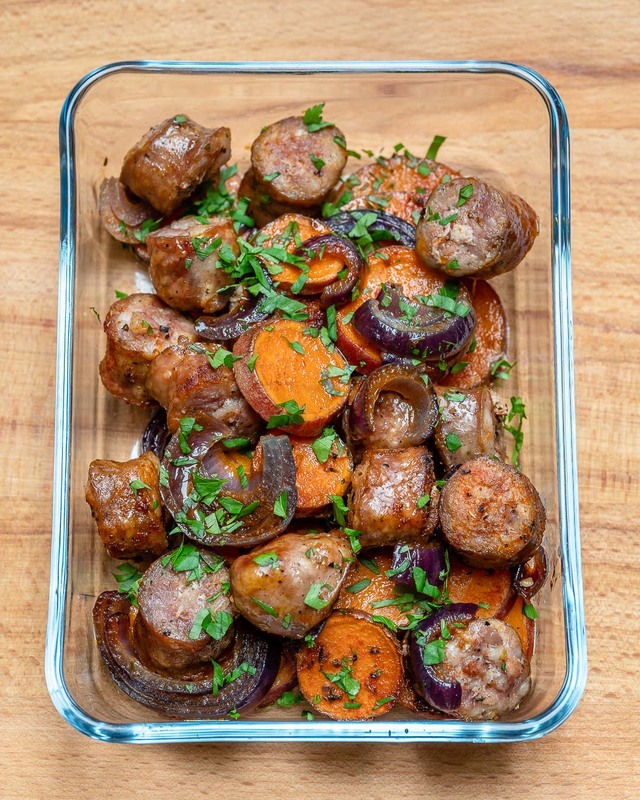 Bake for 25-30 minutes in your preheated oven or until sausage is cooked through and potato is fork tender. 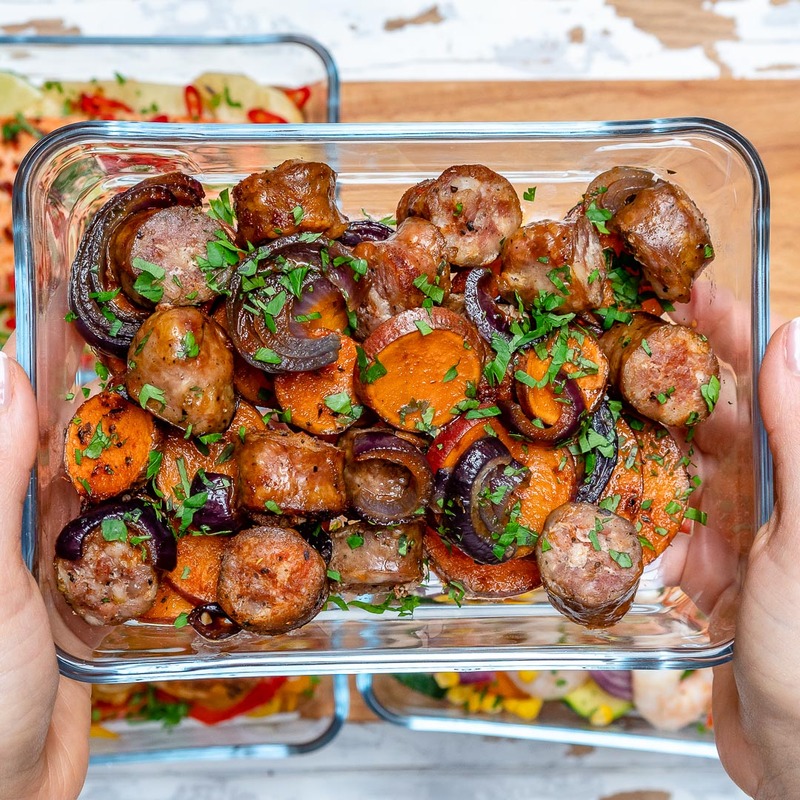 Carefully open the packet, garnish with fresh chopped parsley and enjoy! Or place in an airtight container and refrigerate for up to 5 days for future meals/meal prep.